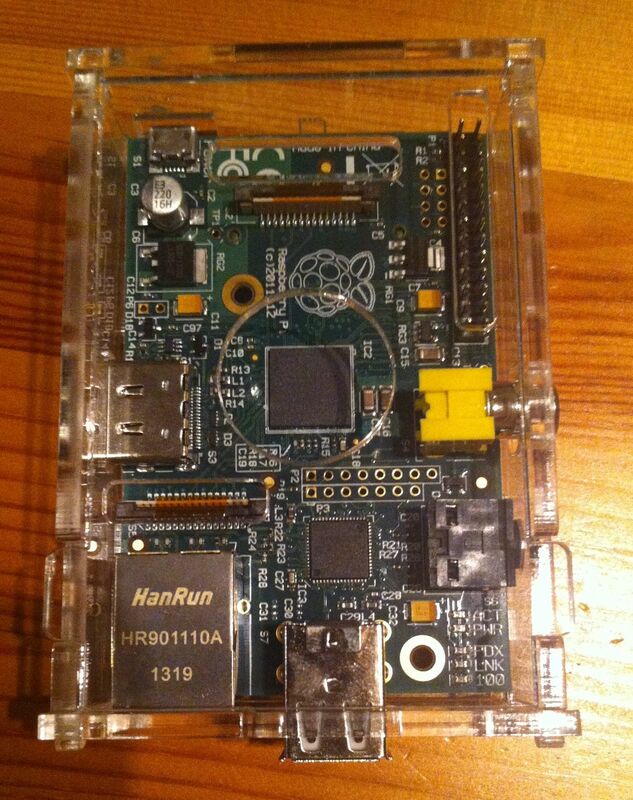 Since Christmas I have been playing around with a Raspberry Pi. It is certainly not the fastest computer, but what a great little toy! Here are a few experiences and online resources that I found helpful. Initially I connected the Raspberry Pi via HDMI to a TV; together with keyboard, mouse and an old USB Wifi adapter. Everything worked out of the box and I could install Raspbian and set up the network. But who needs a monitor when you can access the Pi remotely anyway? The command ifconfig tells me the local IP address of the Raspberry Pi. into Safari and that will bring up the Screen Sharing App; see screen shot below. Ok, let’s give the Pi something to do: Rohan Kapoor explains how to set up the Raspberry Pi as a print server with AirPrint. How about AirPlay as well? Follow Thorin Klosowski’s steps on Lifehacker and you can stream music from your iOS devices to the Raspberry Pi’s audio out. The R code finished after about 10 seconds. 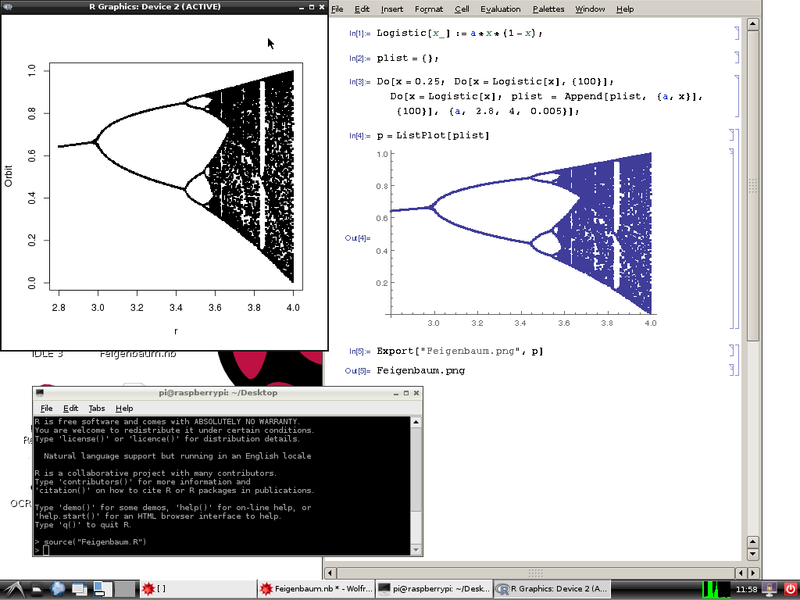 Surely, there must be ways to speed up the Mathematica code that I have to investigate. How many more R-bloggers posts can I expect? ← How many more R-bloggers posts can I expect?